DUSHANBE, September 11 /ITAR-TASS/. Russian President Vladimir Putin said on Thursday that Russia, China and Mongolia should establish trilateral contacts to implement joint projects. “The natural geographic proximity of Mongolia, Russia and China makes it possible for us to implement good long-term projects in infrastructure, the power sector and the mining industry. We have what to discuss with each other. Naturally, we deem it important, expedient and useful to start a permanent dialogue,” Putin said at the start of his meeting with Chinese President Xi Jinping and Mongolian President Tsakhiagiyn Elbegdorzh on the sidelines of the SCO summit. 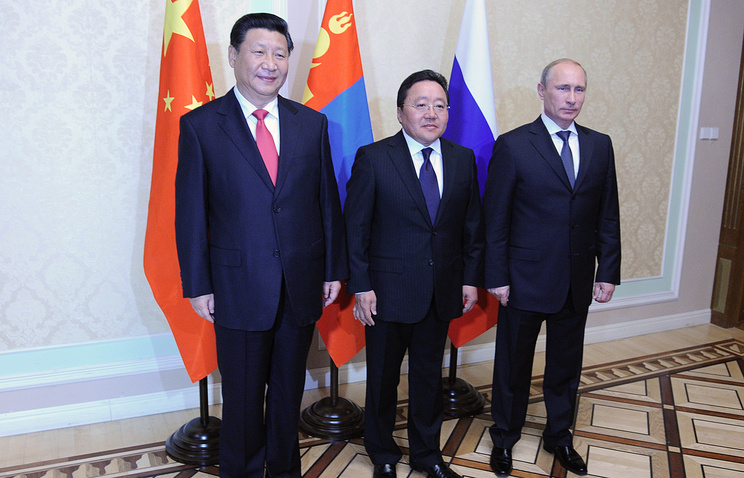 Putin praised the roles which China and Mongolia had played in World War II. Russia and China “received the main blow from German fascism and militaristic Japan,” Putin said, adding that Mongolia had actively helped the Soviet Union during the Great Patriotic War (1941-1945). “Russia remembers it,” Putin stressed. 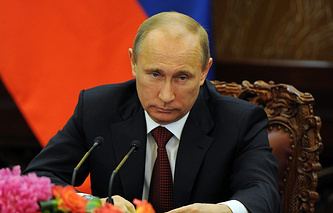 “Even though the events of those days took place 70 years ago, they are very close to us today,” Putin said. President Putin invited the heads of Mongolia and China to visit Moscow to attend the celebrations of the 70th anniversary of victory in the Great Patriotic War of 1941-1945.